SANEF condemns blocking of journalists by Ndabeni-Abrahams - SABC News - Breaking news, special reports, world, business, sport coverage of all South African current events. Africa's news leader. 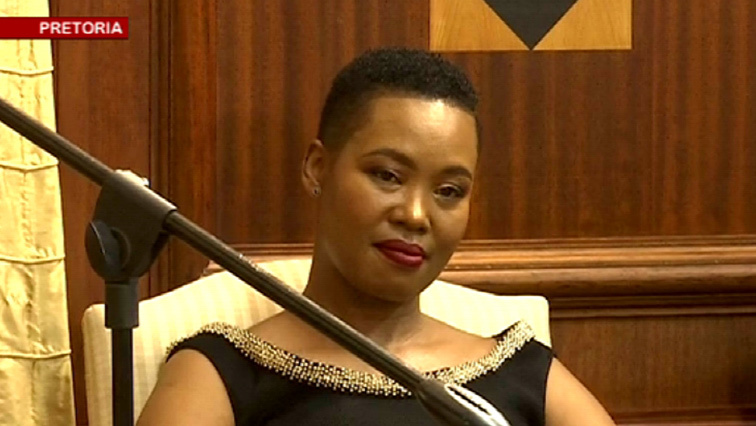 The South African National Editors Forum (SANEF) condemns the blocking of journalists by Communications Minister Stella Ndabeni-Abrahams from covering the actions of protestors at an ANC manifesto launch in Mount Frere in the Eastern Cape. SANEF has seen the video footage which was also broadcast on television stations showing the minister preventing the journalists from covering the protest and ordering them to cover what they came for and not give coverage to “people that are out of order”. Furious supporters stormed the rally complaining about poor service delivery. Journalists from the SABC and other media were among those blocked. The organisation says while they note the Minister has apologised for the incident, they are concerned that she refers to her actions as an “altercation”. Given the Minister’s high profile portfolio relating in particular to the SABC, we would like to have an urgent meeting with her to discuss the matter and our concerns. SANEF salute the SABC for airing the footage, showing fierce editorial independence and a shift from the recent past where freedom of expression was undermined at the public broadcaster. SANEF held its council meeting on Saturday and ahead of elections it is calling on party leaders to allow the media to do its work without fear or favour and ensure the safety of journalists at their events. SANEF is concerned that attacks against journalists are escalating and calls on political parties and those elected to lead not to use journalists as pawns in their political infighting or to cover up corruption. In the run up to the elections highly contested hot spots often pose a threat to the safety of journalists. SANEF will be holding elections workshops in all nine provinces focusing on elections coverage, ethics and fighting fake news. This entry was posted on 09 Feb 2019,09:42PM at 9:42 PM and is filed under South Africa. You can follow any responses to this entry through the RSS 2.0 feed. Both comments and pings are currently closed.